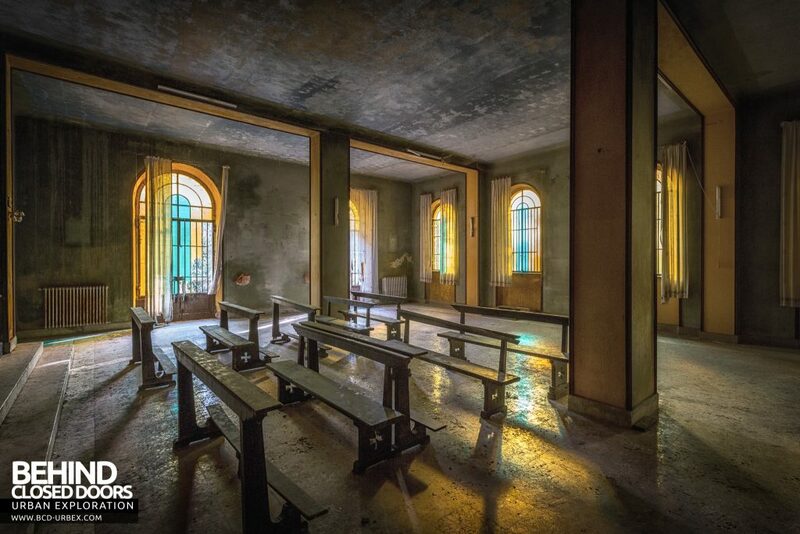 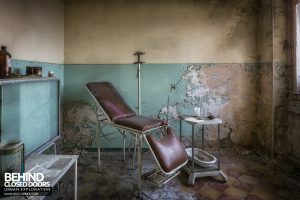 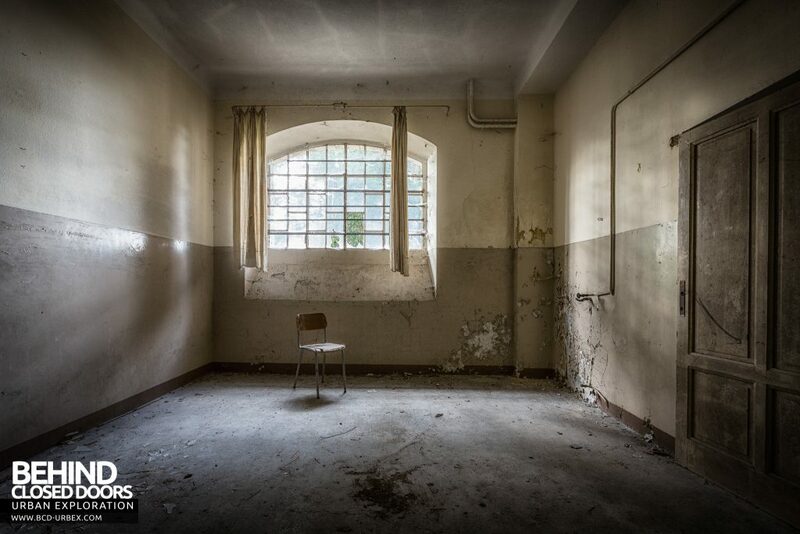 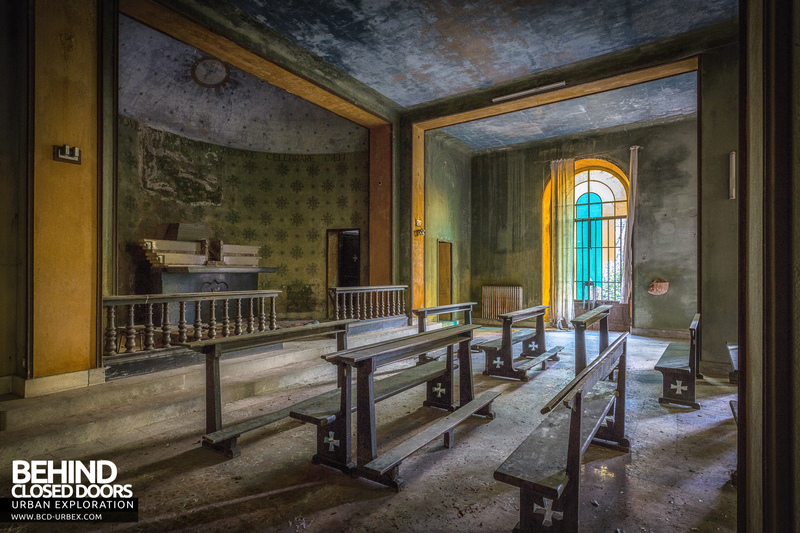 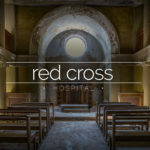 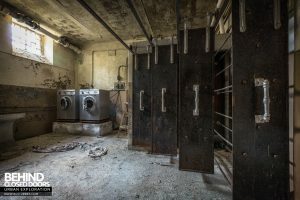 Mono Orphanage aka Crying Baby Hospital is an abandoned orphanage in Italy. 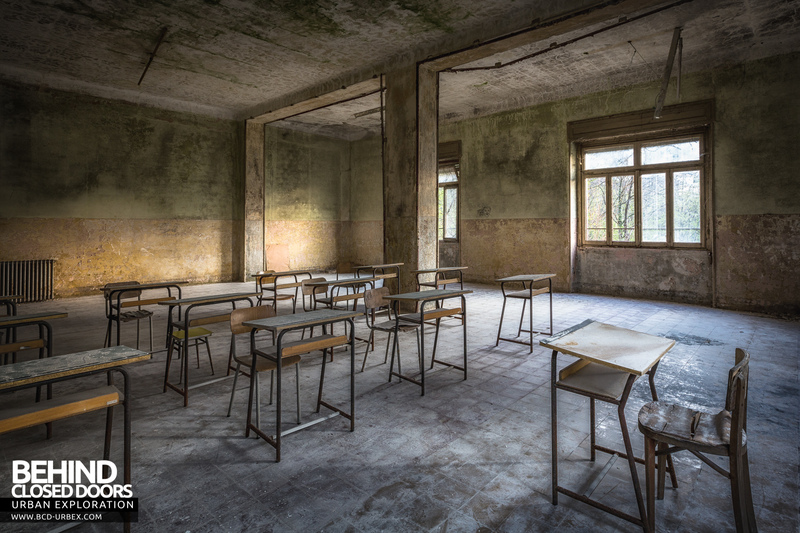 The beds have now gone but some old classrooms remain. 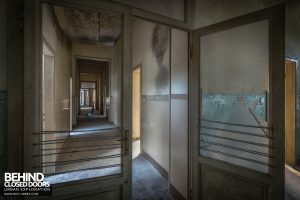 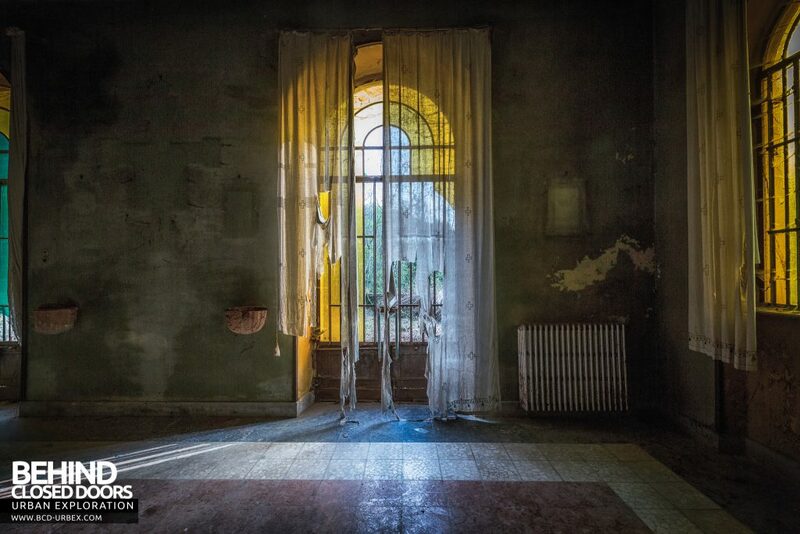 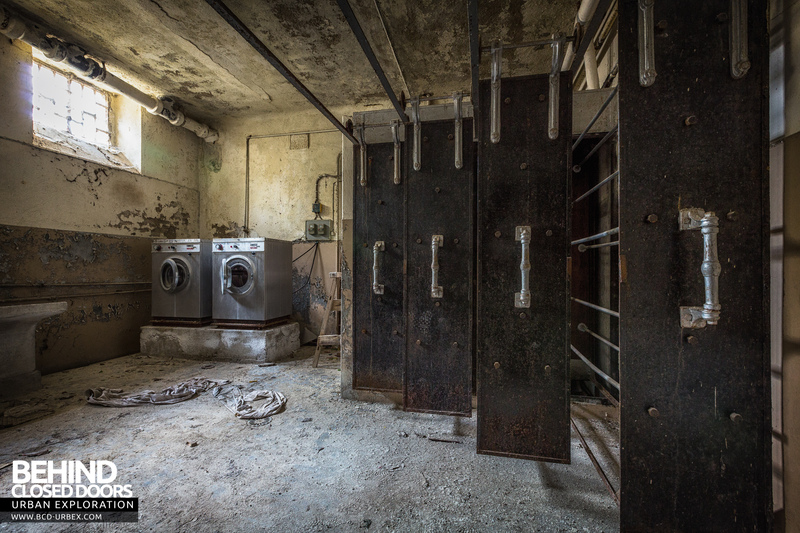 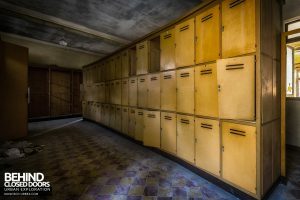 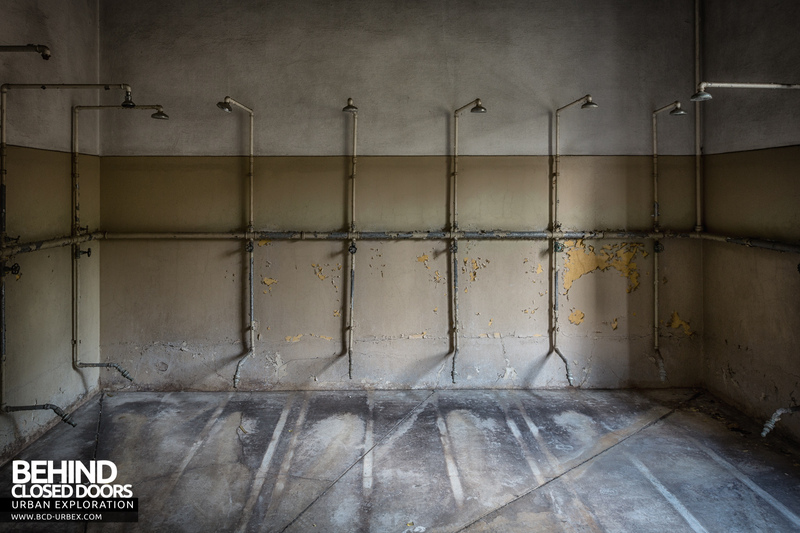 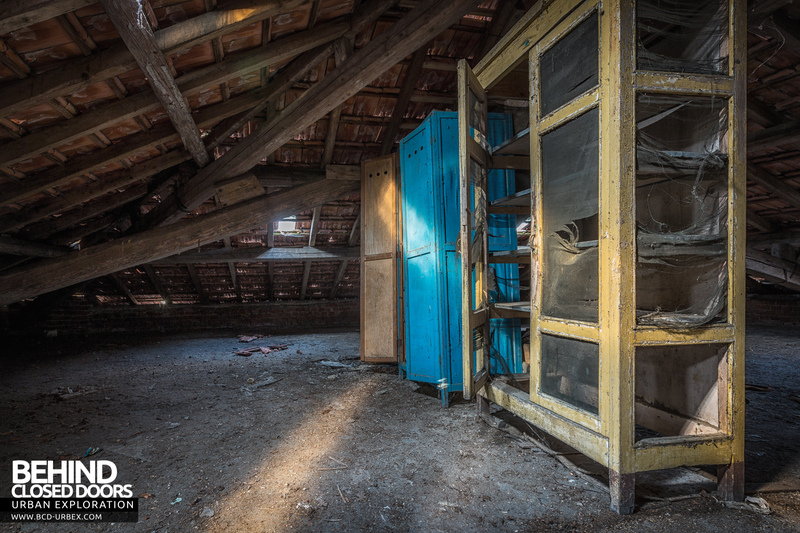 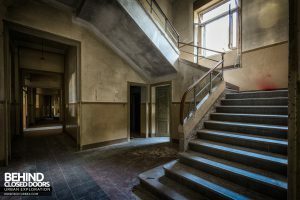 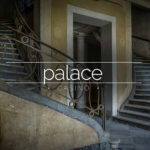 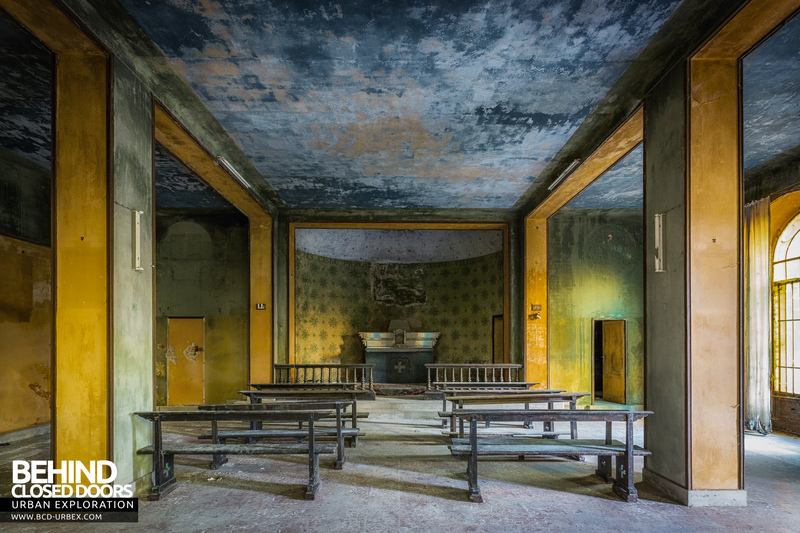 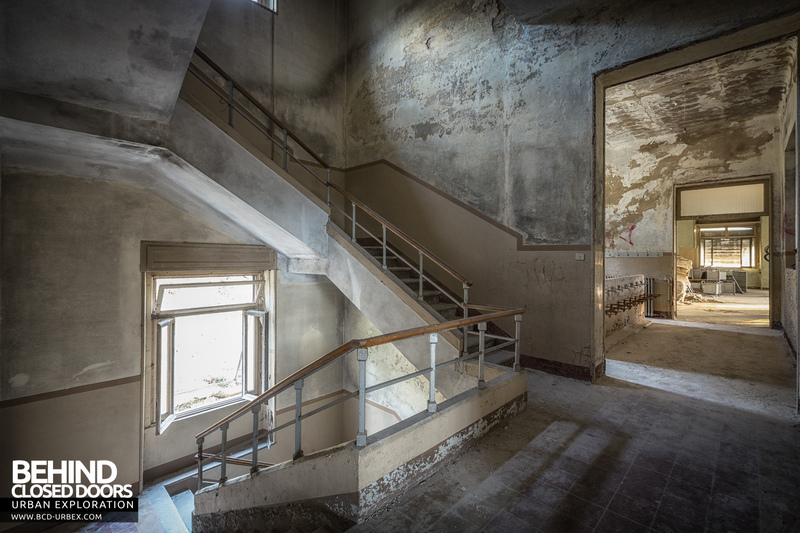 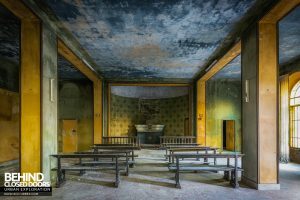 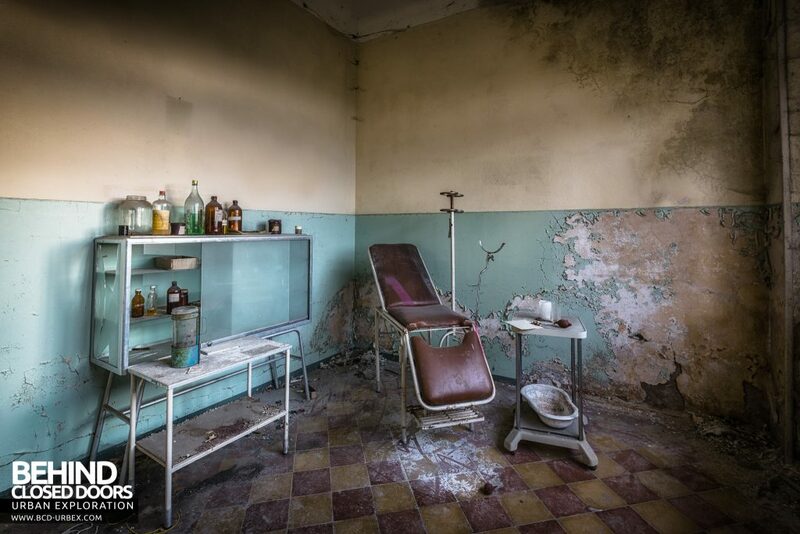 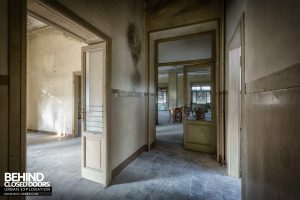 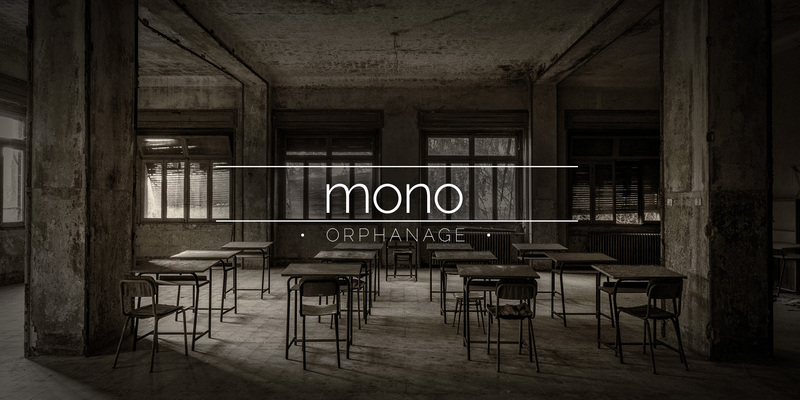 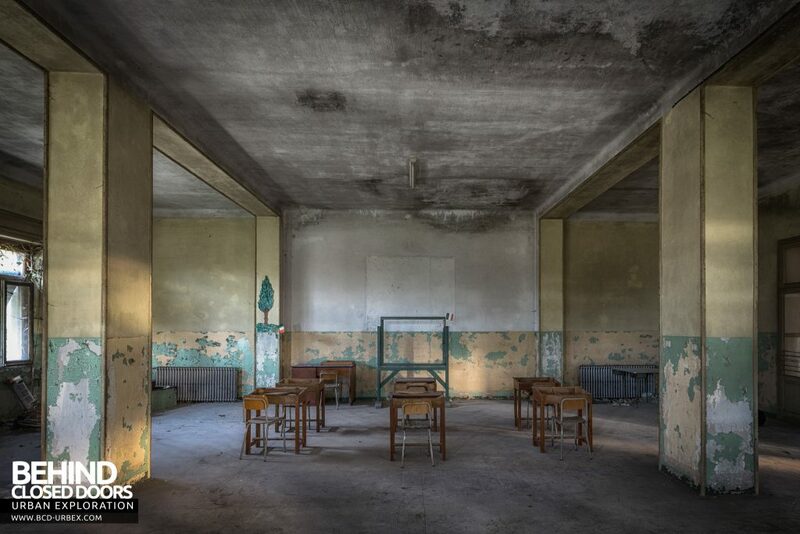 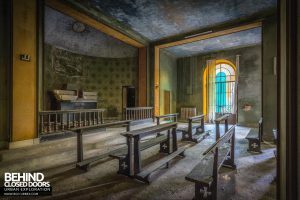 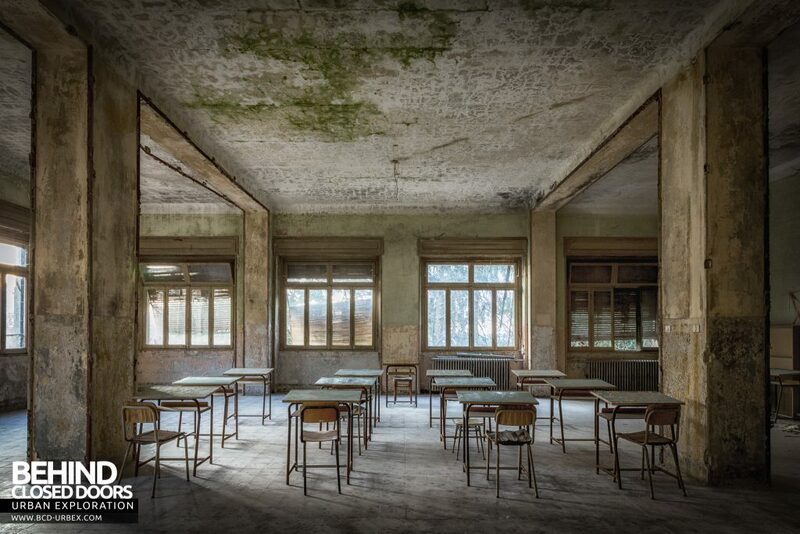 Mono Orphanage, sometimes referred to as Crying Baby Hospital, is an abandoned and decaying summer camp in Italy. The building has been abandoned for quite some time so the decay has started to set in. 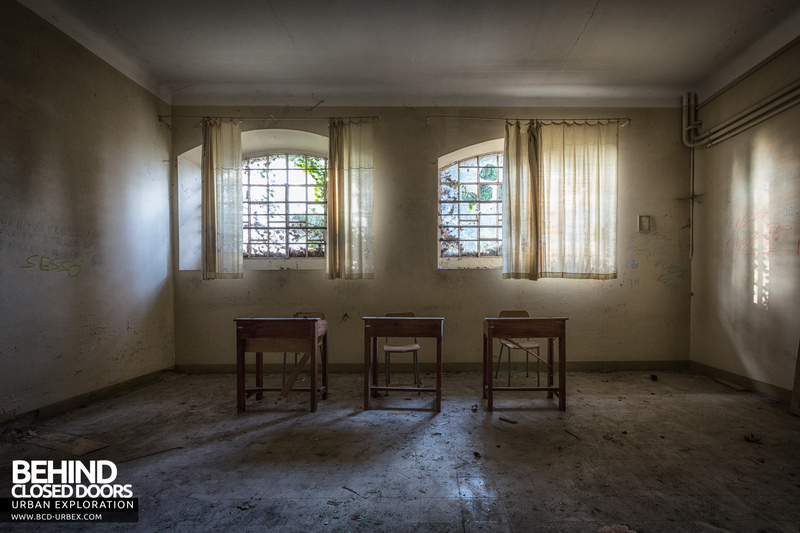 The building has many rooms which were used as dormitories, and a few rooms were set aside as classrooms. 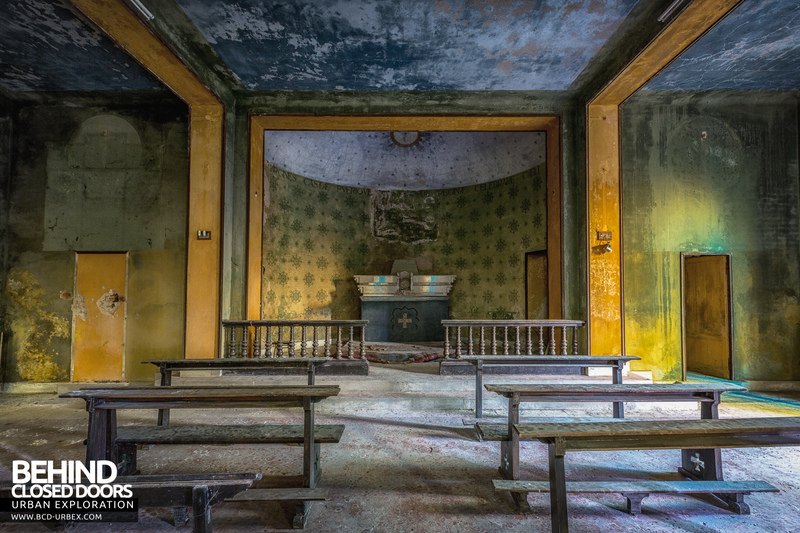 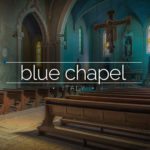 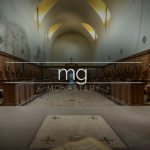 A chapel takes up one end of the building and features a nice altar.